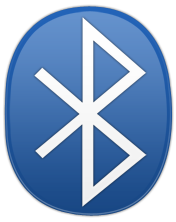 Read full article for your hidden Bluetooth software. 2. Type "Fsquirt" in text box. 3. Now Bluetooth File Transfer Wizard will open. Click on Next button to select your settings. 4. You can select option according to your wish. If you want to receive file then choose Receive a File and if you want to send a file then choose Send a File. 5. Now wizard will guide you completely for respective settings. My friend told me about in before. But I couldn’t find how to do it. Because this article is helpful me very much.